Hire an honest yet aggressive attorney with decades of experience in the field. Established over 35 years ago, our law firm is known for its top legal reviews and award-winning lawyers. Our team of experienced personal injury attorneys makes us one of the best law firms in Pasadena, CA. As some of the best in personal injury law, we have recovered millions in compensation for accident victims. Work with a top personal injury lawyer who has handled brain injuries, car accidents, defective product-related injuries, and wrongful deaths. For more than 35 years, Thon Beck Vanni Callahan & Powell has been a reputable personal injury law firm in Los Angeles County, California. 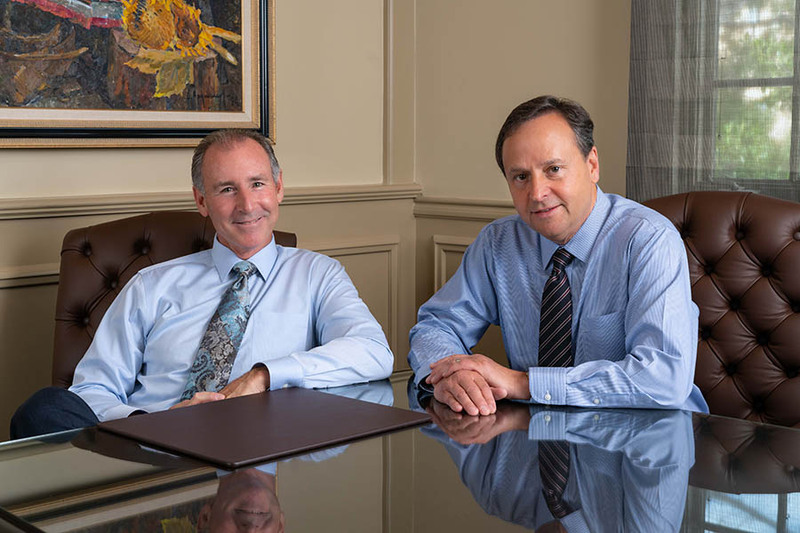 The firm’s longevity and success is the direct result of each our accident attorney’s personal commitment to provide clients with the highest-quality, most vigorous legal representation while maintaining an unparalleled reputation for honesty, integrity, and accessibility. 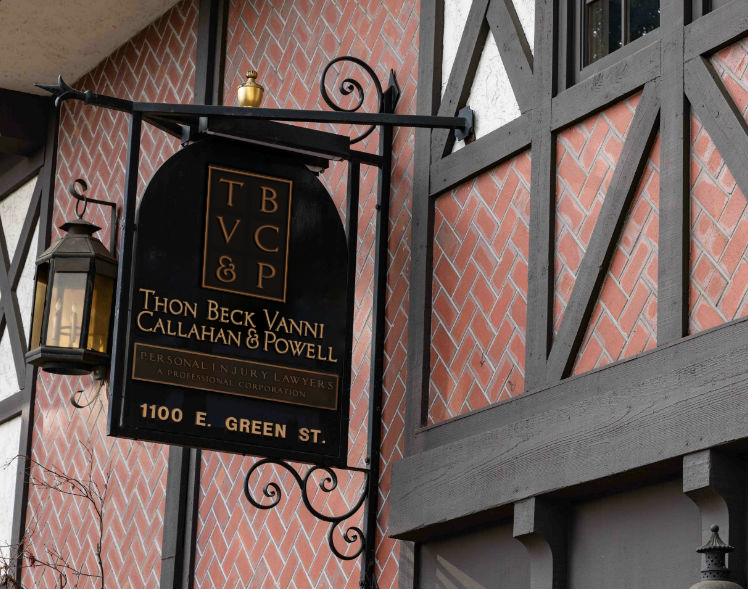 Thon Beck Vanni Callahan & Powell limits its practice to representing seriously injured clients and those who have lost a loved one as the result of negligence. If you or a loved one has been injured – or becomes injured – because of another party’s negligence, contact the experienced personal injury lawyers at Thon Beck Vanni Callahan & Powell immediately. If a careless and negligent driver injures you, let our lawyers fight on your behalf. If you are injured while motorcycling, we can fight for your compensation. If you are injured by a negligent driver while bicycling, we can help you. Injured in a slip-and-fall incident? Talk to our attorneys about your rights. If a careless and negligent driver injures you, let our car accident lawyers fight on your behalf. Truck accidents are the most dangerous traffic accidents. Our attorneys represent the victims. Our law firm represents families that have suffered a loved one’s wrongful death. We fight for complete compensation for your medical expenses if you have been injured by negligence. Justice demands that victims of negligence should be compensated for their pain and suffering, and so do we. We handle every aspect of your case, including all of your losses and physical damages, if a negligent person has injured you. This recovery was obtained by attorneys Thomas Beck and Gregory Vanni in a case that was partially settled and the remainder tried to a jury verdict. This settlement was reached by Tom Beck and Greg Vanni for several clients involved in a serious traffic collision on Highway 395 in San Bernardino County. Attorney Gregory R. Vanni achieved a settlement for two clients who were severely injured when a Compressed Natural Gas tank exploded. Attorney Gregory R. Vanni settled a dangerous roadway case causing serious injury to our client against the City of Beverly Hills in Los Angeles County California. Kevin Callahan achieved this settlement against a towing company when its driver was attempting to assist our client’s disabled vehicle on the freeway, but the driver’s negligence resulted in severe injuries. This recovery was obtained by attorneys Tom Beck and Greg Vanni in a case that was partially settled and the remainder tried to a jury verdict. Attorney Greg Vanni achieved a settlement for two clients who were severely injured when a Compressed Natural Gas (CNG) tank exploded. Attorney Greg Vanni achieved a settlement involving a dangerous roadway case causing serious injury to our client against the City of Beverly Hills in Los Angeles County California. Kevin Callahan settled against a towing company when its driver was attempting to assist our client’s disabled vehicle, but the driver’s negligence resulted in severe injuries. When you become our client, you’ll be represented by a knowledgeable personal injury lawyer, treated with complete respect, and given every possible courtesy and consideration. Each case is unique, so we take the time to explain how the law impacts your case, while keeping you informed as your claim moves through the court system. To see what our clients say about working with us, take a look at Thon Beck Vanni Callahan & Powell’s Google Plus reviews. Thon Beck Vanni Callahan & Powell handles all negotiations with the party named in your lawsuit that party’s insurance company and attorney(s). Get the trustworthy legal representation you need. Our law offices are located in Mid Central Pasadena near the California Institute of Technology and Pasadena City College, approximately 18 miles from the Bob Hope Airport (BUR). Take I-5 South from the Bob Hope Airport to head towards our offices. Then, take exit 144 to merge onto CA-134 E toward Glendale/Pasadena. Take exit 26 for Lake Ave and merge onto Corson Street. Stay on Corson Street for about 0.5 miles and turn right onto N Wilson Street. Then, turn left onto E. Green Street and look for our offices on the right. Get on the CA-110 N/State Hwy 110 N from Los Angeles to head towards our offices. Stay on this road for about 7.3 miles, then turn right onto E. California Blvd. Turn left onto S. Oak Knoll Ave and right onto E. Del Mar Blvd. Make another left onto S. Wilson Ave and a final right onto E. Green Street. Our offices will be on the right. If you’ve been injured in southern California, call Thon Beck Vanni Callahan & Powell today at 626-795-8333 or contact us online right now to schedule a free initial consultation.